I resolved to have an indoor day today, trying to survive this Tassie heatwave, and decided to get some kitchen jobs done. Realising I was all but out of yogurt early this morning (enough to change my breakfast plans) I decided to do what I call a shortcut jar, and it couldn’t be easier. 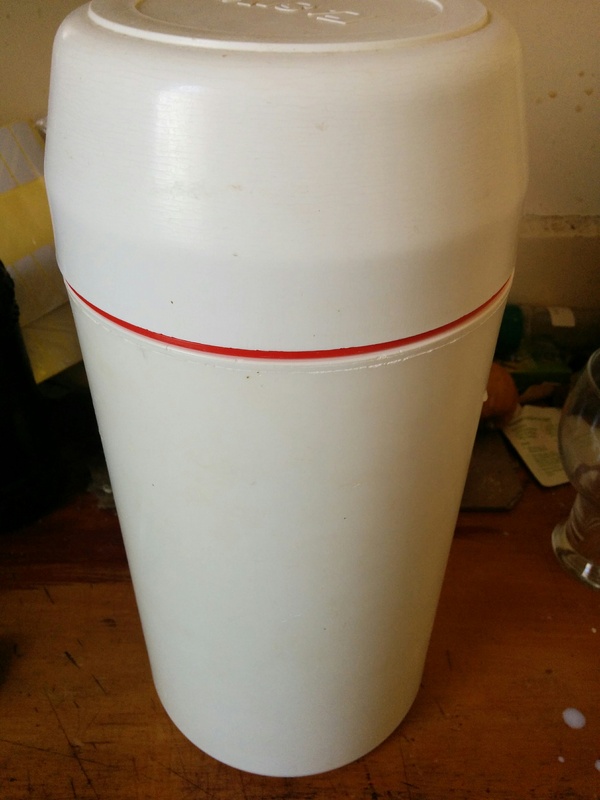 I have an ancient EasiYo passive yogurt maker I bought new about 20 years ago. It’s probably one of the best purchases I’ve ever made as my family go through a lot of yogurt! Although EasiYo sell sachets of starter, I generally use a dollop of the last batch and refresh it with new starter culture every few months. My preferred starter is plain Greek style. To save having to go to the shop for extra fresh milk, I took a favourite shortcut, and used powdered full cream milk. It’s a great thing to have in the pantry cupboard in case I run out of real milk, and I also use it to enrich sauces, puddings – and yogurt! 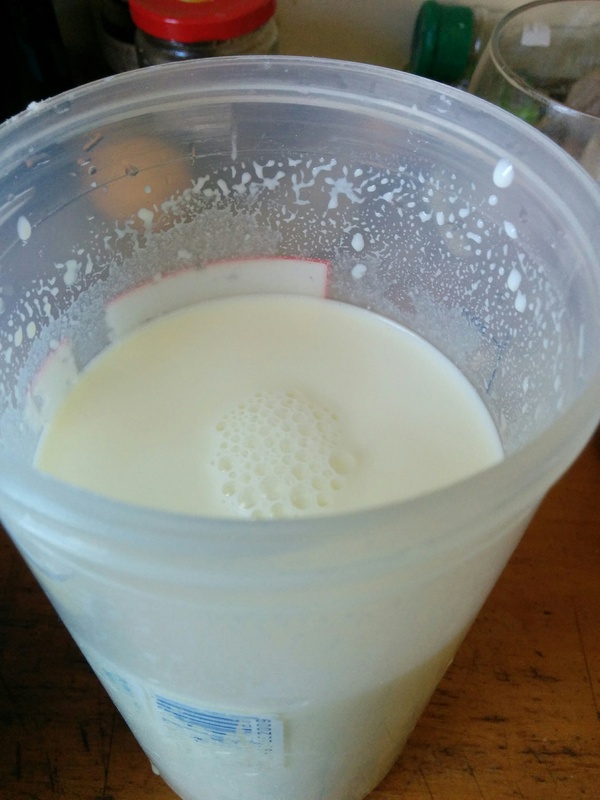 For my 1 litre tub, I use 1 1/4 cups of milk power mixed thoroughly with about 500 ml cold water. Filtered or rain water is best for this, as tap water additives can inhibit the culture. Mix thoroughly and top up with cold water if necessary. Then it’s just a matter of filling the maker with boiling water, making sure the trivet is the right way up, and putting in the yogurt jar and screwing on the lid. Leave it for 8-12 hours, depending on how sharp you like your finished yogurt. I generally leave mine 9 hours but a little longer if I’m making cheese from it. 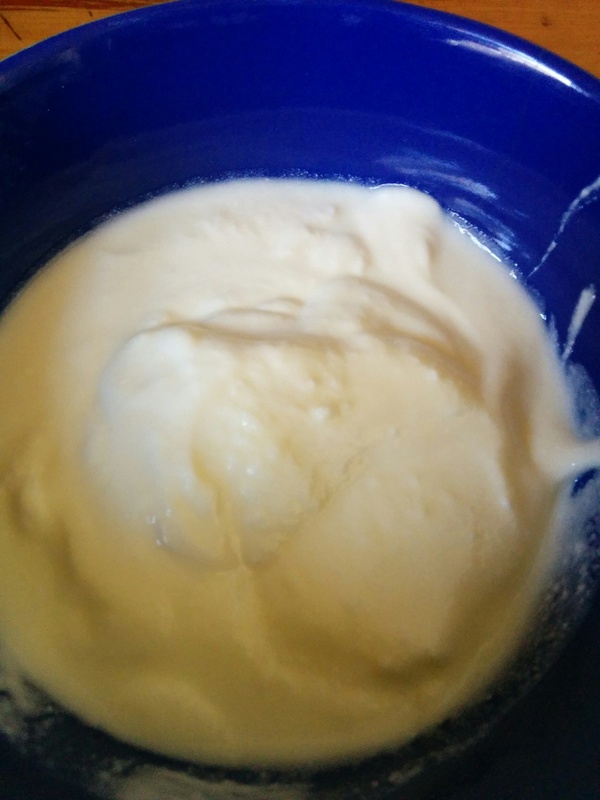 The finished product is really lovely, creamy and tangy. Perfect with fruit, making smoothies and using for dips and dressings. 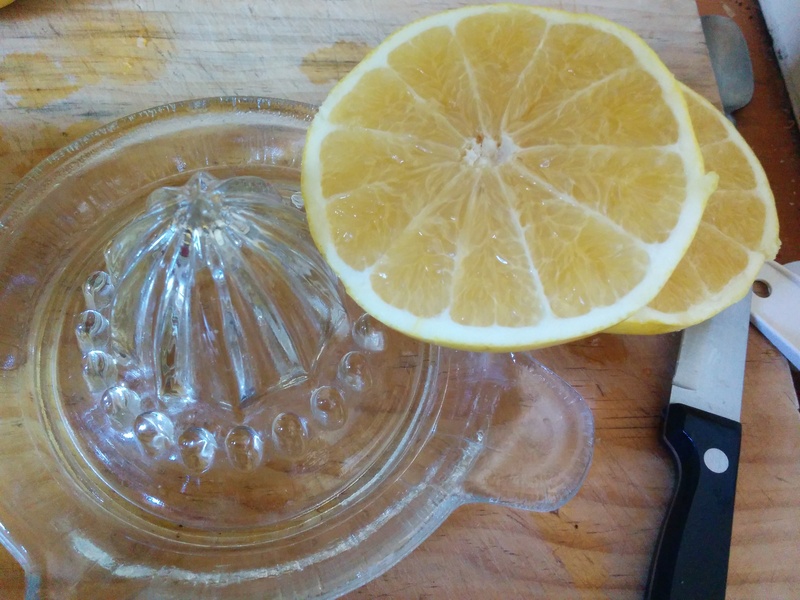 Once the yogurt was out of the way, I juiced a bag of oranges that were past their best but still good, and about 10 grapefruit I was given by friends a few weeks ago. I used the same standard recipe I have for lemon syrup and it made about two litres. 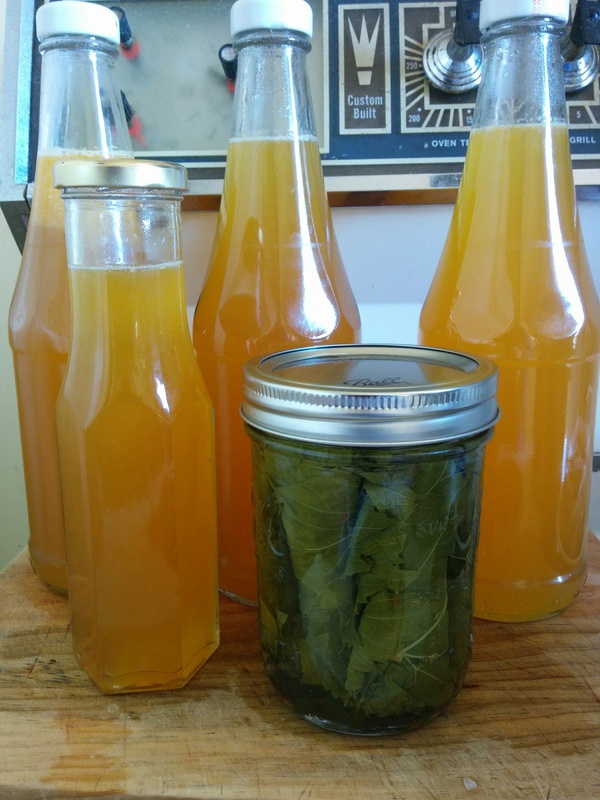 Finally, I bottled my stash of spring grapevine leaves (close to 50), destined for dolmades later in summer. 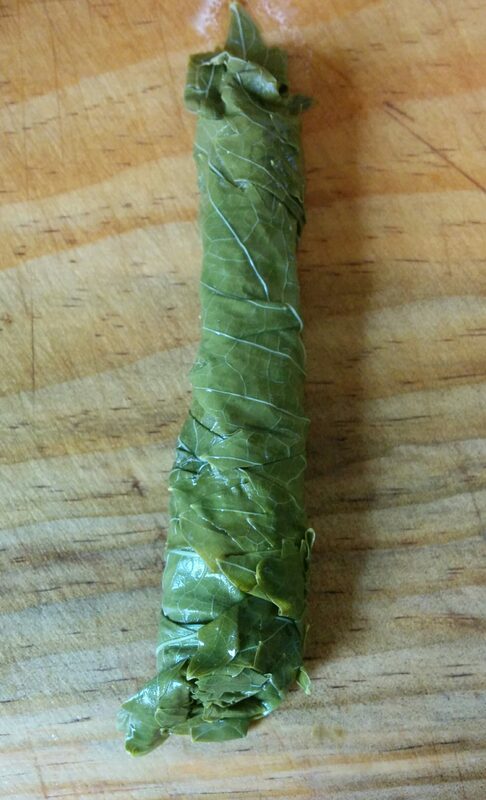 After cleaning them all and removing the stems, I blanched them in a strong boiling brine, plunged them in a pot of icy water and (once they were cool enough to handle) rolled them up in bundles of 10. I put them in a small preserving jar and covered them with boiling brine and 1 teaspoon of Citric Acid. Then I processed them along with the bottles of syrup for 15 minutes. It was hot work, but totally worth the bother. The syrup is sharp and sweet, perfect in iced water as a refreshing drink – even better with plain soda and a dash of vodka for the adults – and makes a very interesting ice cream topping.